Please Live started with a caring teenager who saw a need in the world and decided to address it. As a child, Alexa Moody struggled with depression, which eventually lead to thoughts of suicide as a teenager. She received help and recovered, deciding then to go to college for Human Services. During the 2009-2010 school year, while she was a 19-year-old college student, there was a cluster of suicides within her community. Just minutes outside of Pennsylvania’s capital, Alexa heard of five teen suicides within the course of five months. She was heartbroken. Although she did not personally know any of the teens, her heart was torn for the friends and families left behind (known as suicide loss survivors). It was from this hurt and her personal experiences of depression and recovery that Alexa heard God’s voice telling her to do something about it. Armed with a broken heart and a message from God, Alexa started Please Live in May 2010. 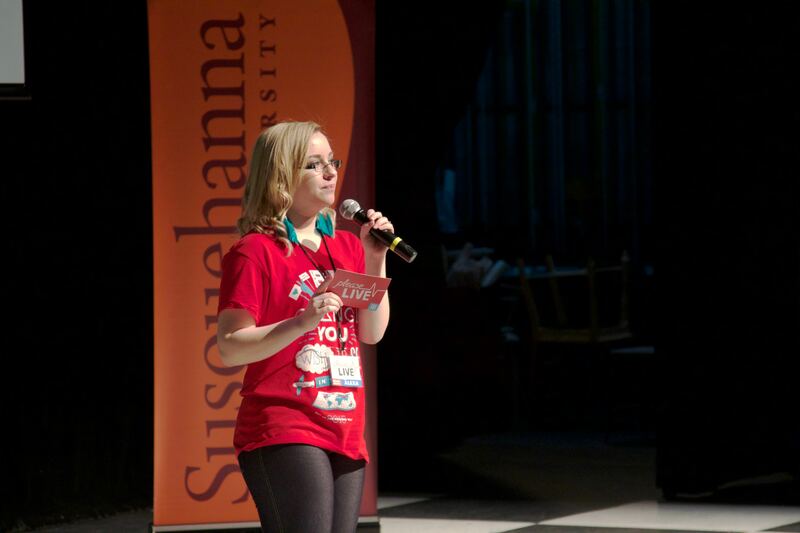 Her efforts were quickly noticed within the midstate as she networked with local prevention powerhouses such as Holy Spirit Teenline, the Mental Wellness Awareness Association, Someone To Tell It To, and the local chapter of the American Foundation for Suicide Prevention. The first board of directors was elected in 2012, and Please Live received it’s 501(c)3 nonprofit status in April of 2014. Today Please Live has blossomed into a program that educators are eager to get their hands on. The future of Please Live hopes to plant chapters all over the United States to bring the message of help, hope, and healing to as many students as possible. Mission: to cultivate mental wellness through education and awareness of youth and young adult mental health challenges, focusing primarily on depression, anxiety, and suicide prevention. Our flagship Please Live program, STOMP, consists of three steps to comprehensively and collaboratively bring mental health awareness into your school, church, or venue. The first step is to train the staff members. As part of our presentation, we want students to know that it is OK to talk about what is going on in their lives. We want the venue to be considered a safe place. To do this, we must make sure that staff members are appropriately trained in how to recognize and assist a student that may be struggling. Our primary training offering is an internationally-recognized, evidence based program called Youth Mental Health First Aid. This 8-hour certification course covers topics such as anxiety, depression, substance use, disorders in which psychosis may occur, disruptive behavior disorders (including AD/HD), and eating disorders. Staff members are taught a 5-step action plan for how to help young people in both crisis and non-crisis situations. This training is provided via one of our partnering community agencies. After a core group of staff members have been trained, we tackle the students. 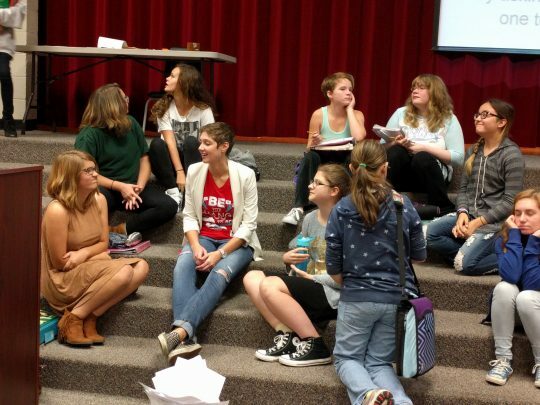 Our 1-hour presentation teaches students about mental illnesses, the prejudice and discrimination that people with mental illnesses often experience, signs of a problem, how a mental illness can escalate into thoughts of suicide, signs of suicidal behavior, and a three-step plan on how a student can intervene and help a friend or loved one who may be hurting. This presentation is often done in coordination with existing in-school services, such as the Student Assistance Program, to increase awareness of help resources both within and outside of the school. Please Live is not a service agency, so we do not run a crisis line or offer therapy or counseling services. However, our presentations often result in students reaching out for assistance. This is where we bring the community in. By hosting a free mental/behavioral health fair during the school day, local service agencies are represented in a safe and welcoming environment. Students are able to interact with agencies, ask questions, and receive resources. Agencies get free marketing and sometimes even gain referrals. We will go wherever we are invited. One of our core beliefs is that our program should be completely free, with no cost whatsoever to you. However, depending on where your venue is located, travel costs may be incurred. Generally, if a venue is within a two hour radius of Harrisburg, we will not charge for travel. Connect with us and we will be able to work with you. Is Please Live a Christian Organization? We believe in the Multi-Dimensional framework. This is a concept that states that as humans, we are made up of four dimensions: Biophysical (body, flesh and bones, chemicals), Psychological (mental, emotional), Social (relationships, environment) and Spiritual (faith, inspirations, dreams). We believe that all four dimensions need to be addressed to truly feel happy and healthy. When addressing the spiritual dimension, we talk about dreams, aspirations, where you find beauty in the world, and the idea of your “future self” – this definition is relatable to anyone regardless of faith. Our message is for everyone, regardless of race, lifestyle, or beliefs. If you are looking for a faith-based presentation, we do offer a biblical version of our presentation via our Christian branch at Please Live’s Love Life Ministries. Three-step program includes staff training in Youth Mental Health First Aid, a Student Education presentation, and a Health Fair. The student education piece takes a minimum of 1 hour to complete. Student education can take place as a large assembly or as a guest speaker during regularly scheduled class (such as a health class). Student education is presented by a young adult who has a history in mental health challenges, making us relatable and safe speakers. On average, our program shows a 17% decrease in prejudiced beliefs towards individuals with mental illness, a 23% increase in general knowledge surrounding mental health, and a 23% increase in comfort in reaching out for help or assisting a friend or loved one who may be struggling. Student education is appropriate for ages 13 through college age. Please Live is funded primarily by grants, business sponsorships, donations, and volunteers, keeping our full program free of charge. Absolutely free. Yes, that’s right, free. We don’t believe that money should ever be an excuse to deny mental health awareness to every school and community. We don’t believe money should ever get in the way of reaching out to hurting youth. This is possible through the donations and support of local businesses, volunteer vendors, and ordinary people doing simple things to help us out. One thing will always remain constant for Please Live: we will enter your school/youth group/other venue at absolutely no cost to you. Please Live officially received our 501(c)3 nonprofit status in 2014. To access a copy of our nonprofit letter, click here. Any questions about our nonprofit status can be directed to support@pleaselive.org. 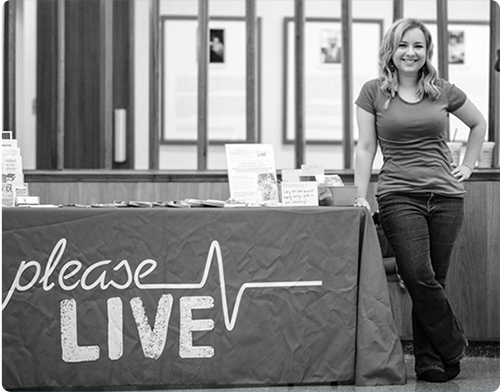 Feel free to contact Alexa Moody at support@pleaselive.org!